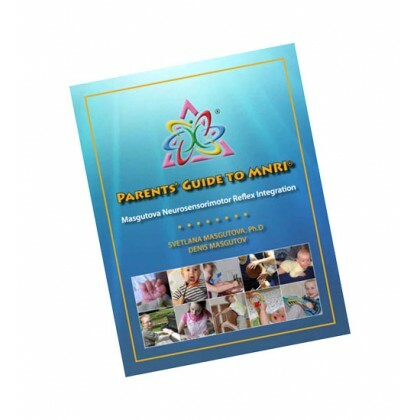 Parents’ Guide to MNRI® is illustrated with simple Reflex Patterns for Hand/Arm; Foot/Leg; Core or Gross Motor Coordination; Trauma, Protection, & Survival; Emotional Stability, Fear, and Depression; Oral-Facial and Visual-Auditory; and Reflex Patterns for Cognitive Activity. It is 60 pages of full color illustrations and describes treatment for over 27 different reflexes along with descriptions of how the development of this reflex effects us and the implications for a poorly functioning or pathological response. This Parents’ Guide is intended to use for support with ongoing treatment with a MNRI® CORE Therapist, after attending an intensive MNRI® conference, or simply for a continued home treatment plan.